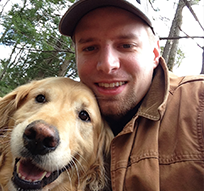 Jason has been working in the pet industry for over eight years. He spent three years as an editor, writer and researcher for Pet Health Network, and two years as Editor-in-Chief. He is a lover of all animals, and has a passion for writing. He has worked with some the most influential writers and bloggers in the country. These authors have included respected veterinarians, behavior experts and many amazing pet parents. Jason used the knowledge and experience gained from such experts to write accurate and unique content for Pet Health Network.